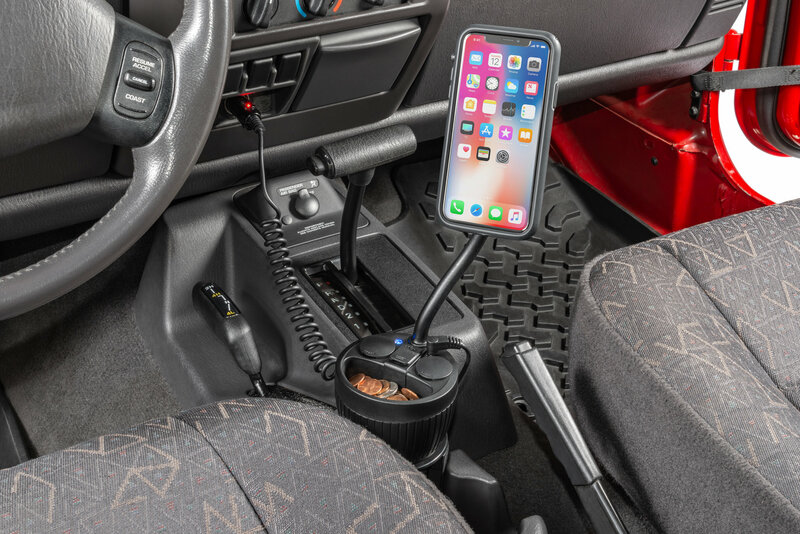 Do you have multiple devices you need to keep charged while out on the trail or long road trips? 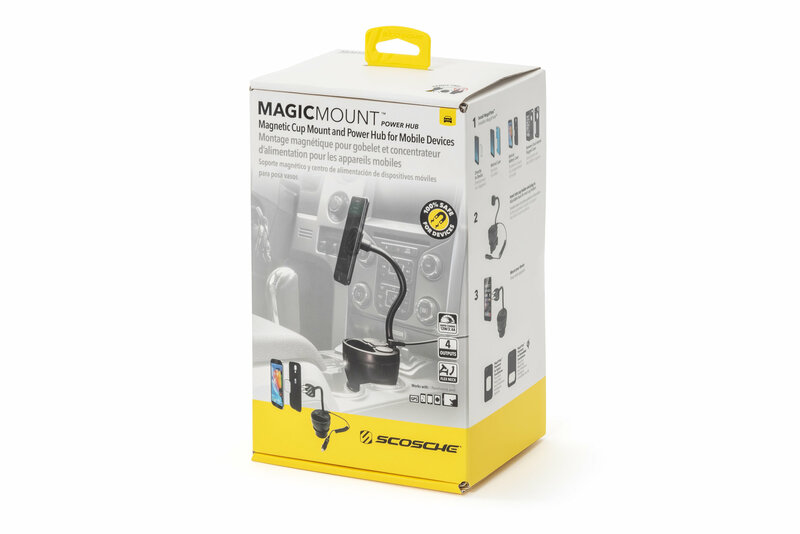 This is now no problem with the MagicMount PowerHub by Scosche. The PowerHub is the ultimate solution to charging multiple devices at the same time. This easily plugs into any 12v power source and lets you charge up to 4 devices all at once. 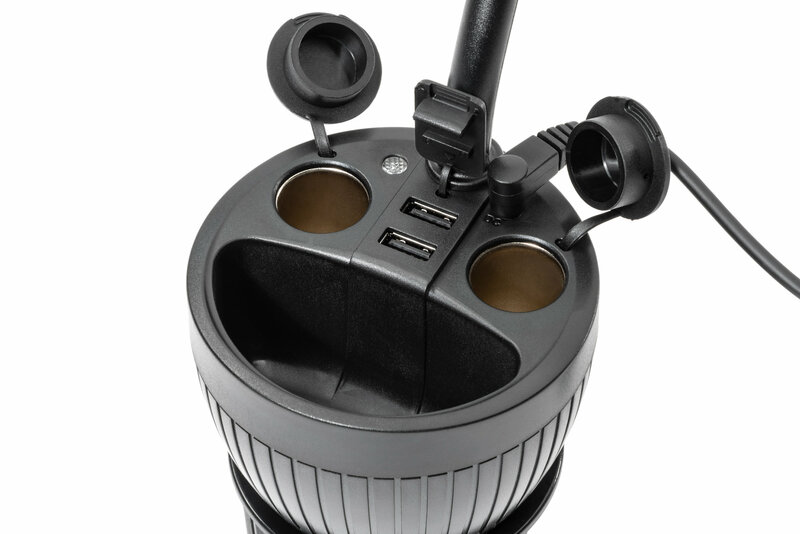 The entire PowerHub base is adjustable to install quickly into virtually any size cup holders securely. Once plugged into the vehicles power outlet, the builtl in LED indicator will come alive and let you know that it is ready to go. 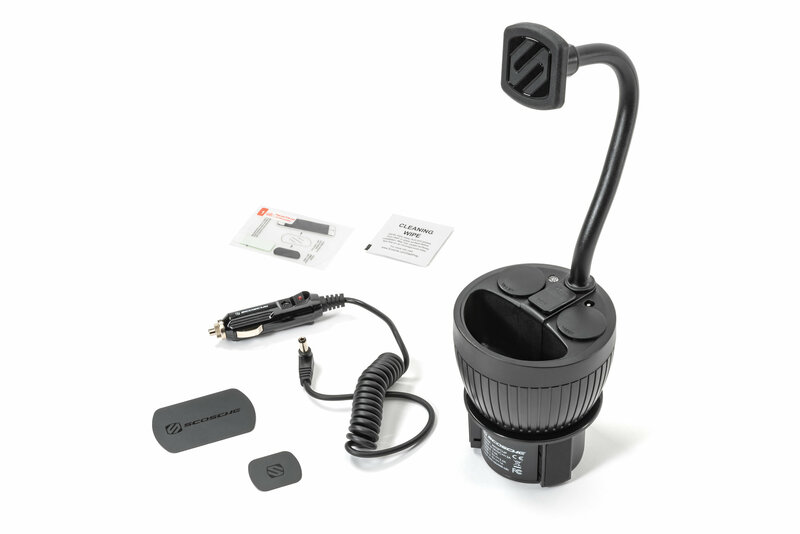 The base features two 12v outlets and 2 USB outlets for many different charging needs. The charging ports are protected by included covers when not in use. The long and adjustable neck can be positioned at any angle you wish for optimal viewing of the device. 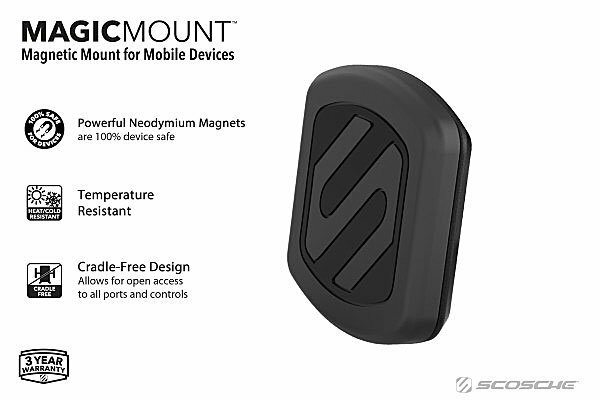 Mount your portable device with the included MagicPlates, that are made from extremely strong Rare-Earth neodymium magnets that are 100% mobile device safe and provide a secure grip to your devices. Ultimate Charging Station: The MagicMount PowerHub has the capability to charge up to 4 devices at the same time, ensuring you will never run out of power to your smartphone or portable devices. Install to any 12v power source and it is ready to activate! 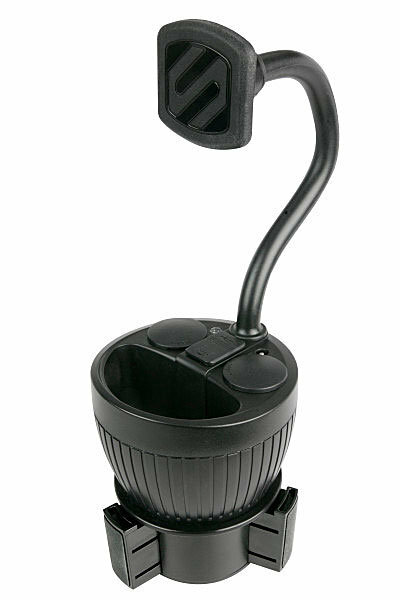 Features two 12 watt power outlets and two 5 watt USB ports. 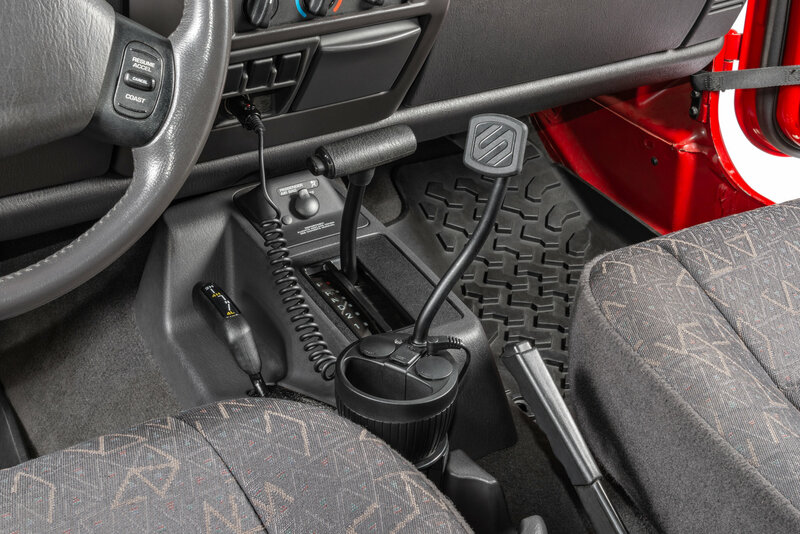 Secure and Safe: The long mounting neck is flexible and can be adjusted to any viewing angle you prefer to view and operate the device safely. 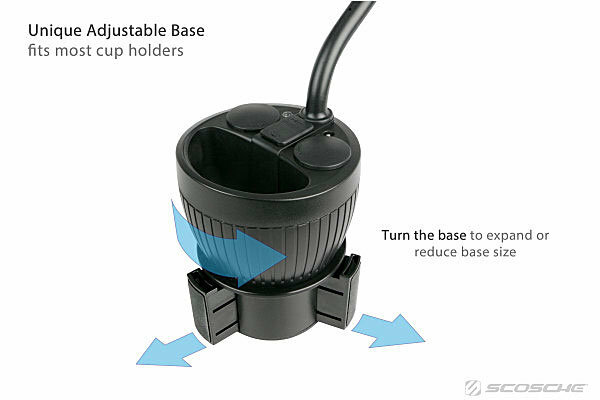 The adjustable base can rotate and reduce in size as needed to fit any cup holder. Strong Magnets: The included magnets are extremely powerful and designed to hold the device to the mounting base using rare earth neodymium magnets. These magnets are 100% safe for all mobile devices.